Task: to design manhole covers. 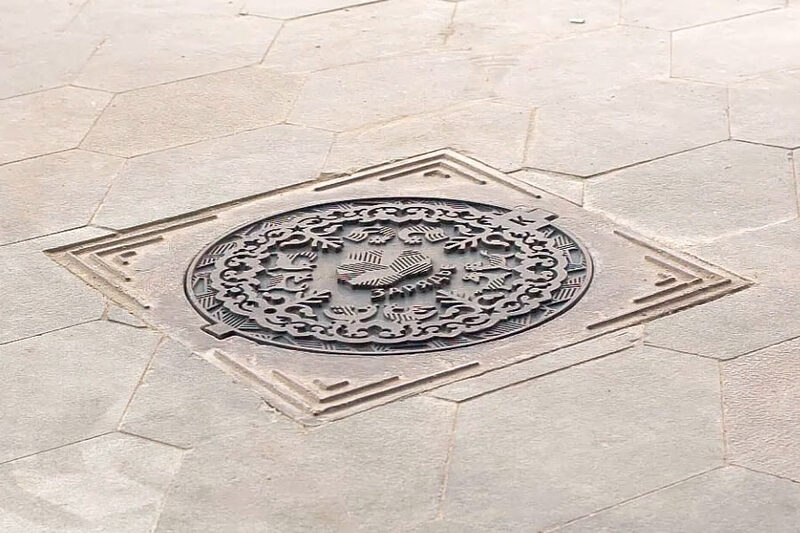 Elegant manhole covers with ornamental motifs were installed in Zaryadye park. The covers are decorated with cute animals, beautiful plants and traditional ★ Moscow stars. To make sure the new covers fit well with the park’s identity, their design features the leaf logo and the recognizable hatching. The hatching is not purely decorative, it also makes the cover less slippery. 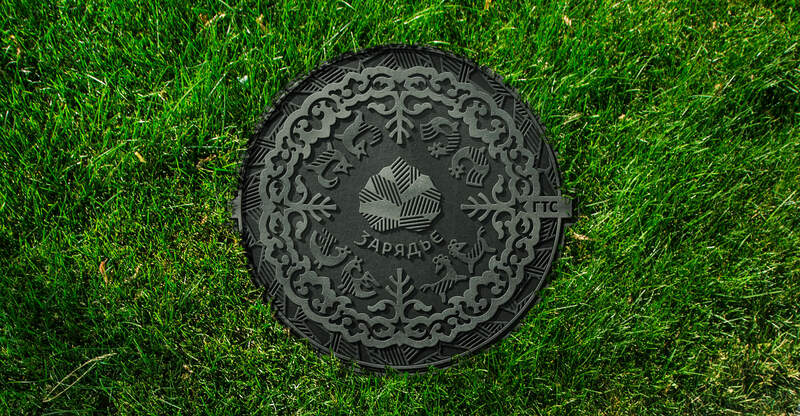 New manhole covers please the eyes of locals and tourists and improve Zaryadye’s already excellent image. It’s obvious that a park that cares to make its manhole covers beautiful is a very good park. 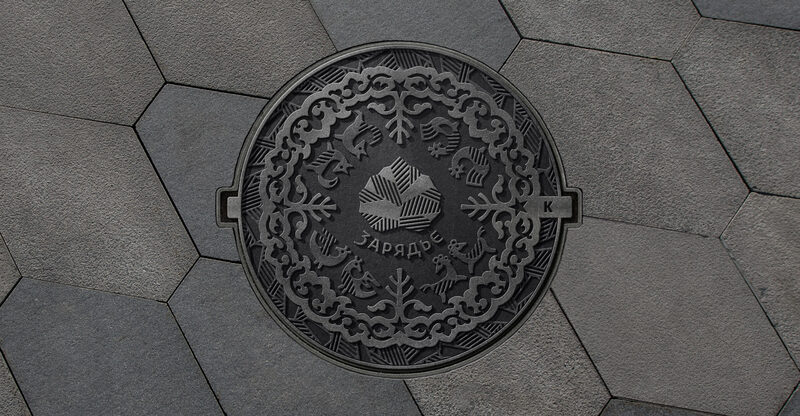 Usually, manhole covers in Moscow are unattractive. 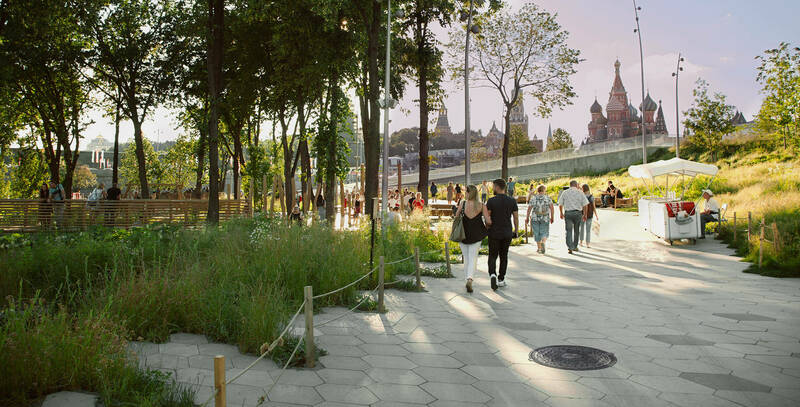 In Zaryadye, we pay a lot of attention to details and I believe that making the design of manhole covers interesting for locals and tourists is the right idea that will make the park even more unique. Moreover, in many European cities, in Japan and in the USA such industrial design has long become a part of cities’ images. Maybe this trend will take root in Moscow, too.